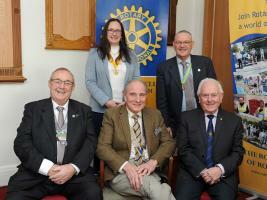 Welcome to Rotherham Rotary! Please scroll down to find out more about us. The Christmas collection over 3 days at Co-op Food, Kiveton Park raised a grand total of £1081 which with gift aid added will make around £1350 to donate to our Memory Café. 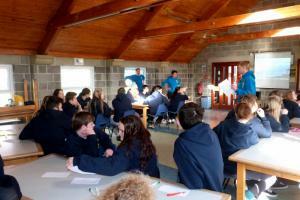 Projects giving opportunities to young people with careers, personal development. 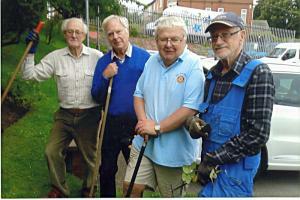 An active social programme is essential to Rotary fellowship. Welcome to Rotherham Rotary Club, part of a worldwide organisation of over two million men and women who volunteer their time, talents, professional skills and energy to improving the lives of people in their local communities and others around the world. The Club is looking for new members who are active in a business or profession, and are able to spare a couple of hours away from work in the middle of the week. Alternatively we should welcome any business or organisation that would like to support our Club by becoming Corporate Members, Full details on our membership page. The enormous sense of achievement you'll experience doing something really worthwhile will be matched only by the enormous amount of fun you'll have! You'll be working, socialising and networking with like-minded people who have the same interests and aims as you - so teamwork is important. You'll make firm friends as well as worthwhile business contacts; you'll learn valuable new skills and grow as a person; and you'll be sure of a warm welcome from other Rotarians around the world whenever you're on your travels. To find out more use the Contact Form tab above or visit the RIBI home page. We know that there are some misconceptions about Rotary, so to hear what 'ordinary' members of Rotary clubs have to say about this extraordinary organisation and what being part of it means to them, please click the video link : Why Rotary? 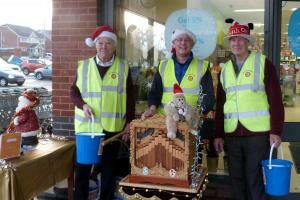 Rotary Club of Rotherham General Services Benevolent Fund is a registered Charity. Charity Number is 505240.